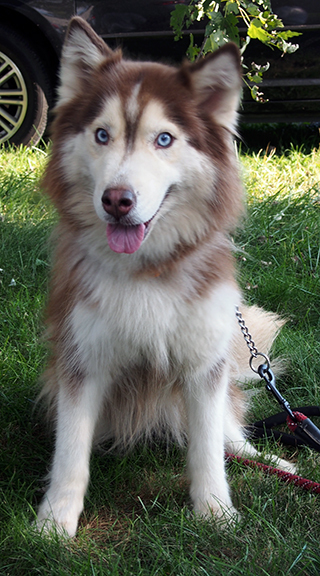 Fuzzy is a red and white wooly husky. She’s 9 years young, and loves to voice her opinion. She has the cutest woo-woo! This little girl lost her home, due to housing problems. She gets along with the other kennel dogs and loves to follow you around.